Dr. Cabot discusses how having a healthy thyroid gland, depends on your liver. Your thyroid gland produces two main hormones: T4 (also called thyroxine) and T3 (also called triiodothyronine). These hormones help to control your metabolic rate, that is the rate at which your body burns calories. They also have a huge bearing on your energy levels and maintenance of normal body temperature. T4 is not the active thyroid hormone; it must be converted into T3 in your body in order to exert its effects. The majority of this conversion does not occur in your thyroid gland. Most T4 to T3 conversion happens in your liver, kidneys and muscles. If you have a fatty liver or a sluggish liver, this conversion will not be effective. This can leave you feeling tired, depressed, puffy, overweight and with dry skin and thinning scalp hair. Indeed you would have a thyroid problem caused by a faulty liver. If you are taking thyroid hormone medication in the form of thyroxine, it too must be converted into the active form in your body. Therefore if you are taking thyroid medication but still not feeling much better, your liver could be to blame! It is vital that you work on improving the health of your liver if you want healthy thyroid hormone levels. Obtain adequate selenium in your diet. Selenium is a mineral that is required for the conversion of the thyroid hormone T4 into its active form, T3. People taking thyroid hormone replacement such as Synthroid or Oroxine benefit from selenium supplementation because it enables their bodies to use the medication more efficiently. Selenium also helps the immune system and can reduce the production of auto-antibodies in Hashimoto’s thyroiditis and Graves’ disease. Brazil nuts are the richest dietary source of selenium, however supplementation is usually required to achieve optimal levels in the body. Selenium and iodine are found in thyroid health capsules. Consume good quality protein. The amino acid tyrosine is required for thyroid hormone production. Tyrosine is found in protein rich foods such as chicken, fish and cheese, and also in smaller quantities in avocados, bananas and almonds. Protein rich foods are also a good source of zinc, which is needed by the thyroid hormone receptors in your cells, to allow thyroid hormones to bind there. Eating enough protein is one half of the equation, the other half is to make sure you digest the protein properly. Irritable bowel syndrome, bloating, heartburn and reflux can all indicate that you don’t digest protein properly. Taking a digestive enzyme supplement, sipping some diluted apple cider vinegar before meals, and making sure you are relaxed while eating can all help. 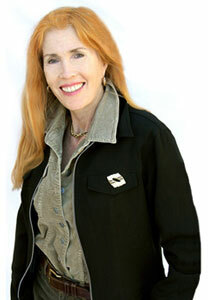 Dr Sandra Cabot has written many popular books on health and she is very well known under this name. 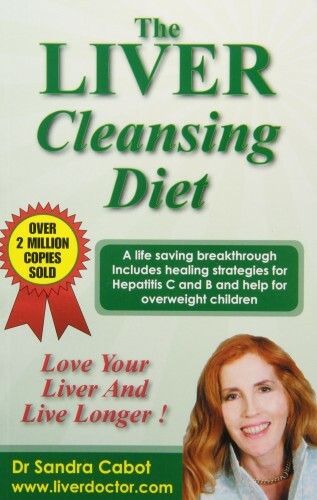 Dr Cabot’s famous Liver Cleansing Diet book was awardedThe Australian People’s Choice Award in 1997.You may find it interesting to know that Sandra chose the nom de plume of “Dr Cabot” in 1982, as in those days Australian medical doctors were encouraged to use a nom de plume (or writer’s name) if they were going to write books and participate in the health media. This was considered ethical behavior and was smiled upon by the medical registration boards, as it could then not be construed as to be advertising for extra patients.There are many well known medical doctors in Australia (such as Dr “Sally Feelgood” and Dr “James Wright”) who use a writer’s and/or media name for this purpose, and who continue to practise medicine under their professional names. This is considered to be more ethical and conservative, which is appropriate as the medical profession is a conservative profession.Dr Sandra Cabot’s professional name is Dr Sandra McRae and her ancestors came from Scotland and England. There is also a touch of French ancestry in Sandra, and that is why she chose a French nom de plume!Dr Sandra McRae is a registered medical doctor in NSW, Australia where she has medical practices in which she works with other medical doctors and naturopaths. Read more about Dr. Cabot, here. Follow her other website at SandraCabot.com, on Facebook and on Twitter. Please ‘Like’ Thyroid Nation on Facebook and Follow us on Twitter. Questions or anything to ask Dr. Cabot about the liver and thyroid connection? We want your thoughts in the comments section–Please!